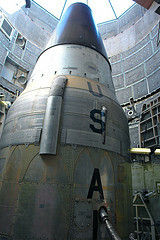 As Non-Proliferation Treaty Takes Effect, Should Nukes Be Seen As Clean Energy Source? This weekend, a ratified nuclear arms control treaty between Russia and the United States went into effect, reducing and limiting each nation’s allowable arsenal of nuclear weapons. The new Strategic Arms Reduction Treaty (START 2) also allows U.S. inspectors access to monitor Russian nuclear weapons technology, facilities and forces, which they were prevented from doing since the original START treaty expired in December 2009. As the nations attempt to mitigate a global nuclear arms race, questions remain: what can be done with extant, surplus and aging nukes? Can they be used as a source of clean energy? Do we have the technology? The World Nuclear Association, a nuclear industry trade group, not surprisingly suggests the conversion of nuclear weapons to energy. The establishment of power plants that can use weapons-grade plutonium and uranium, of course, could help the nuclear industry gain jobs and dollars in energy generation wherever it loses jobs in defense. Some still argue that the expense to build plants that can convert highly enriched uranium or nuclear weapons to commercial power is not commercially justifiable. Others believe nuclear power, from any sources, is not as clean and safe as other options, like solar or wind. Clean energy entrepreneurs, who are vying for the support of government and other large investors, often reject the idea of calling nuclear a “clean” energy, thanks to a huge number of accidents on the U.S. historical record alone from Los Alamos to Hanford. That said, nuclear power does not produce carbon dioxide, sulfur dioxide, or nitrogen oxides. Health and environmental risks associated with life near nuclear reactors include: contaminated and over-heated ground water; increased risk of childhood leukemia; increased cancer risks overall; and in some areas, decreased air quality from steam emissions; as well as the threat of a nuclear accident. Platts reports on Monday noted the Sellafield MOX plant in the United Kingdom — established to blend plutonium and uranium oxides into nuclear fuel for commercial power generation — has thus far failed to deliver the energy output its builders promised, and cost the country more money than anticipated. 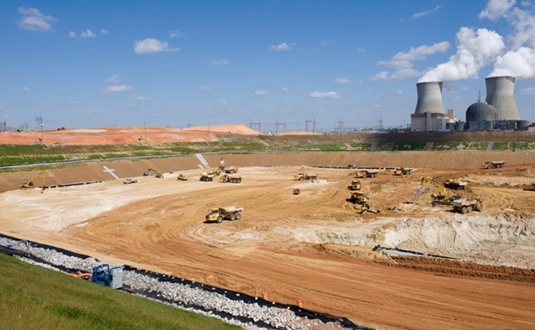 According to the website of the National Nuclear Security Administration, the U.S. is building a similar plant at the Department of Energy’s Savannah River Site near Aiken, South Carolina, due to become operational in 2016.